This post is a follow-up to the previous review covering power cables, hoses and tubes. It takes a look at another tool out there for making these kinds of things. 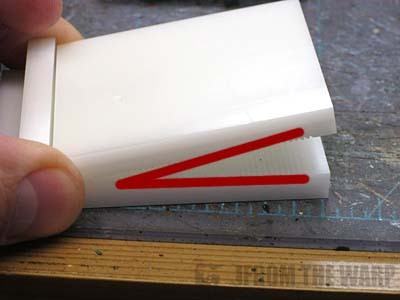 After posting my Necron Ghost Ark conversion the other day, one of the comments pointed me in the direction of this tool from Green Stuff Industries. 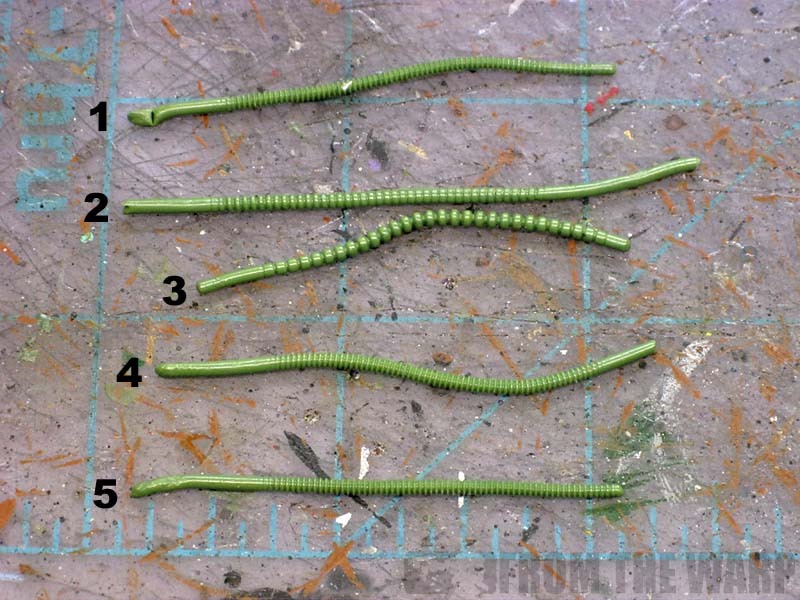 Since I'd used the tool from Masq-Mini the other day on my Necron project, I decided to contact the guys over at Green Stuff Industries, talked to them for a bit and ultimately ended up picking up a Tentacle Maker to take for a test drive. Like I said before, my journey in the cable making process has been a long one and I've tried almost everything out there. It doesn't come with any directions, but there are some on the website here. They're more like notes on how to use and get the best results. Still, it helps. Make this into a downloadable document guys and include a copy with the tool please! Little things like this help. With this tool, there is only one "plate" if I am to borrow a term I used in my previous review. This means you can only get one size of tubes from this. Sure you can make them larger or smaller in diameter, but the scale of the ribbing will be the same across the board. The bottom tube in the pic below is as small as you're going to get unfortunately. Even though there is only one plate, it's substantial in thickness which is a nice feature you wouldn't have thought of initially. It makes it easy to get a hold of without worrying about your fingers getting in the way. This single sized plate is perhaps the biggest drawback of the tool. It lacks the flexibility of multiple plates and sizes. It's my understanding that this may be changing in the future and there may be a few more sizes offered and that would improve the quality of this guy tenfold. Until then, it's limited in what it can do. NOTE: I'm told it will be around March if everything goes well on the development side of things that we can look forward to seeing a few more options in terms of plates available. The actual tool itself has a working area that comes in at 2 inches (50mm). The large working area is a welcome feature and allows you to make longer tubes for other things than just infantry models. It might not seem like much, but I could have used that extra length when making the tubes for my Necron Ghost Ark. This tool includes a built in handle for the bottom plate and a bumper for the top plate to run against. Not only do you have something to hold onto, the top plate rests perfectly in position when pushed up against the bumper as well. I don't need a third hand now to hold everything in place while trying to roll tubes. The small downside to building in a handle and bumper is that you lose some flexibility with re-positioning the plates at different angles to each other to create unique effects. I'm not sure how I feel about this since the handle/bumper makes for such a nice addition and I find myself making mostly power cables using the tool the way it was designed and not having a need to re-position the plates at weird angles. Again I found that I had to use a bit of water to keep the greenstuff from sticking, but that's nothing new to those who use it regularly. I didn't keep up on my water use, but it didn't seem to matter, the greenstuff had no issues sticking to the tool. As with other tools, positioning the greenstuff needs to be accurate as well. 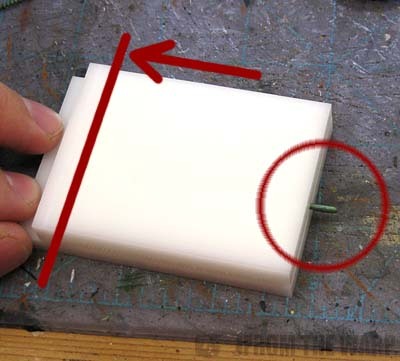 It's best to have it perpendicular to the direction you'll be rolling the plates and try to get it in the middle as well so you have some leeway in each direction and your tube won't pop right out as you start to roll. The plates lined up just like they should. Again, I had the issue of not being able to see my tube as I rolled it out and it would occasionally pop out from in between the plates. To counter that, I left a little bit of greenstuff hanging off the opposite side of the bumper so I could see my tube rolling back and forth. That seemed to be the best solution. While these pics come from the other review, the very same problems came up again. I've included them here because I think they serve as a way to show folks it's not as simple as it seems and there are a handful of pitfalls that need to be avoided. With this tool having the set bumper to run the top plate on, it makes it perfect for making tentacles just like the name suggests. By placing a cone of greenstuff in between the plates and pressing the top one down at an angle, you can get some really cool looking tapered tentacle thingys. Sure you're limited to two inches due to the working area, but it's definitely a cool feature that is possible due to the mounted bumper. I couldn't imagine trying to make a clean and usable tentacle without something permanent to hold the top plate in place as I rolled it. Again, it seems like milliput can capture slightly better detail than greenstuff can. Let it cure a bit and since it's a softer material than greenstuff, it rolls easier and captures finer detail better than it's flexible counterpart. The same drawback applies here... milliput tubes and tentacles must be used after they are made, you cannot let them cure overnight in a straight position since milliput hardens rock solid when cured and cannot be bent. Well, this guy comes in at $16 US before shipping and handling and is limited to the USA for the time being. You could get it delivered out of the country, but I'm sure S&H will reflect that. The price alone is just a bit too high for my liking, not because I'm cheap (although I am), but because you only get one plate and the flexibility is limited due to that one plate. I think if they come up with a few more different sizes and bundle them into one package, this thing will be the tool of choice. The built in handle and bumper are too nice to pass up, especially if you add in the flexibility of a variety of size plates. 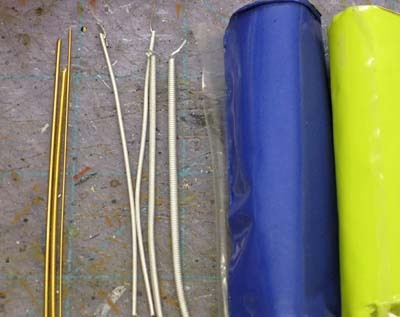 Just like any other specialty tool, if you're making lots of power cables and hoses for infantry models AND don't mind the limited size you get with one plate, this one is for you. If not, you might want to look at an alternative method. There's some learning that goes along with this thing too, you're not going to pick it up and presto, perfect tubes every time. Be prepared to do some real practicing with it before you get something usable. You may want to look at using milliput or ProCreate as well and not just greenstuff. 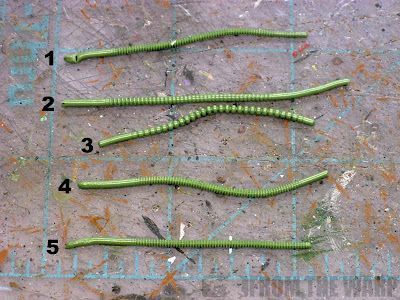 Sure, you can let greenstuff cure and you can come back to it later, but to really get the best detail, you probably should use milliput and then you need to make the tubes/tentacles and position them immediately so they can cure in place. 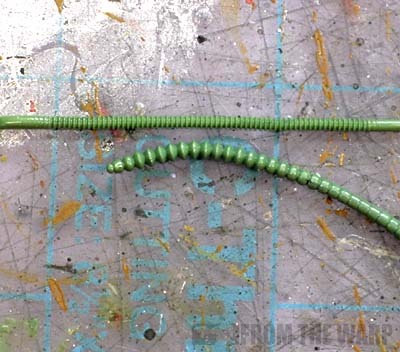 If you do a good amount of conversion work and you find yourself needing to make tubes and tentacles on a regular basis or you've got a project this applies to specifically... and you don't mind dropping the money for this one tool, then this will help you and speed up the construction process after you get a handle on using it. Keep in mind though, it's only one size tube. 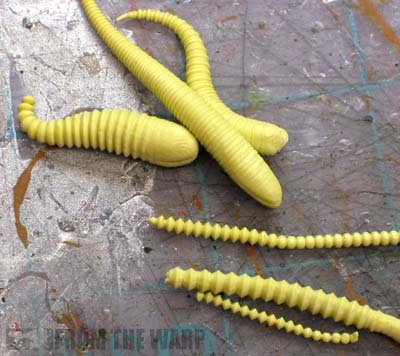 I can see this tool (as is) being handy for someone looking to add some life to a Tyranid army where you don't need the finely machined tubes like you'd see on an Imperial force. Something a bit more organic and larger in scale. Add a few more smaller sized plates to the package with a competitive price and the options open up to lots more things. I still think the alternatives out there are probably better for your average hobbyist who needs to make a single hose for that one conversion they want to do. "I don't need a third hand now to hold everything in place while trying to roll tubes." I don't think you should be sharing information like that online ... your wife may not approve. suneokun: Missed that one when writing it. There were lots others I looked at after writing and thought... I can't say that. Who would have thought something this innocent could be so problematic when writing about it. 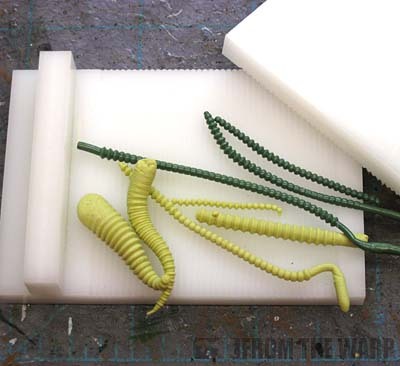 Not needing an extra, well, tentacle whilst making tentacles is a good thing, I reckon. I was thinking of picking this up, but I think I'll wait until March till the various sizes are available. The Harrower: Probably a good call. I know I'm going to watch and see what else comes out then in terms of new "options." If it turns out to be comparably in terms of scale to other products out there, the addition of the handle and bumper make all the difference. Been looking into investing in one of these and your articles are very very helpful. Oh man. Ooooooh man. Some of those examples are just saying "STICK ME ON A PAIN ENGINE NOW!" Love it. You could use a spacer on one or both sides to get a uniform thickness to the cables? That way you can't push down too hard and cut or squash the cable.